The Get Down is probably one of the weirdest yet most enjoyable television watching experiences of my adult life. The fictitious and fantastical take on the birth of hip hop features the queerest, free-est, most musical bunch of Black boys trying to find their way in the Bronx. But, it only got greenlit for two seasons. To combat harsh industry criticism of The Get Down, fans have created #RenewTheGetDown to advocate the many merits of the show. And, they have some very valid points. Netflix is notorious for the heavy promotion of its properties. 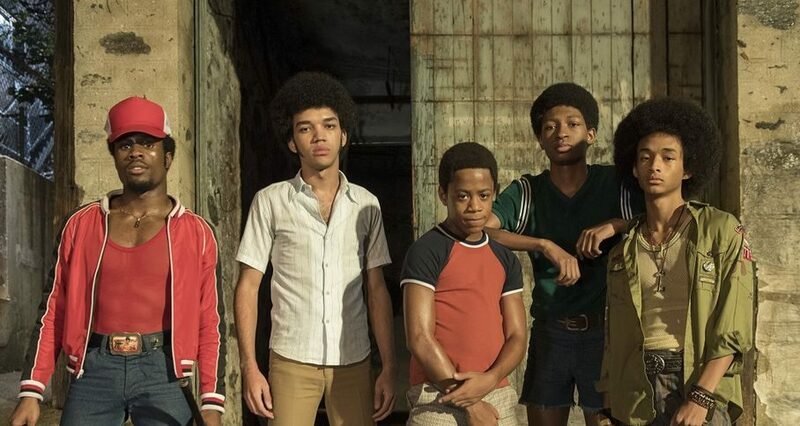 But for the release of Part 2 of The Get Down, fans were quick to notice that other shows and movies being released around the same time were being pushed much more heavily. Sadly, this illustrates that the success of diverse entertainment, even on a progressive platform like Netflix, can rest mainly on word of mouth support. We’ve been trumpeting the film industry’s shortcomings in diversity for years, and The Get Down is one of those rare shows that gets diversity right. The tapestry of actors is as impressive as it is gorgeous, with characters that accurately reflect New York’s patchwork of people. It is still a struggle to find queer characters on film. And far too often, those characters are painfully stereotyped. But The Get Down managed to infuse a range of queer characters without lazily resting on tropes. The show included a loving gay couple without stigmatizing their relationship while also celebrating queer culture of the 70s. What’s more, they feature Jaden Smith, who has publicly questioned binary gender and heteronormative sexuality prior to the show. He’s an actual queer person rather than someone just playing the part. That’s a win. Before the show even debuted, the trailers showcased its infectious music. A mix of disco and early hip hop, the music was a perfect representation of the era, especially when the songs were woven together. One of the central stories of the show is that of Mylene Cruz, a teenager with dreams of being a disco queen. As she fights to make this dream reality, her main battle is to step outside of what her father wants for her and make her own choices. Sure, she also develops a romantic relationship with co-lead Ezekiel Figuero. But uncommon to most entertainment, their relationship causes little conflict. Her personal development, and eventual empowerment, is where the meat of the story lies. Another striking aspect of The Get Down is Mylene’s friendships. Along with her friends and backup singers, “The Soul Madonnas”, the group represents a sister bond unfettered by catty fights and boy squabbles. Instead, they are supportive and have each other’s backs. Sure would be nice if we saw relationships like these reflected more often. While The Get Down is a fictitious story, it takes great pains to show real respect for hip hop’s origins. The show is all about the underground nature of the art form, but couched within that, great DJs like DJ Kool Herc and Afrika Bambaataa are depicted as Kings, each lording over their own portion of New York and style of rap. We haven’t had this much love and affection shown towards hip hop’s early days since Brown Sugar. With all of the magic crammed into this show, its explicit and implicit stands against white supremacy truly set The Get Down apart. From its thinly veiled attacks against gentrification and white efforts to undermine minority community improvements to Shaolin Fantastic literally jump kicking a white Ivy League student, The Get Down was clear in its intentions.